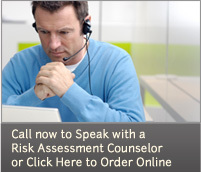 Call Today - MedPro's professional Risk Assessment Counselors will help you determine which of our Drug Testing options is right for you. Take the first step to get the help and answers you need by calling (877) 205-7836 today. Visit Patient Center Today - MedPro has partnered with the two leading "FDA-Approved" medical diagnostic laboratories in the nation to provide you with the highest quality local Drug Testing Services available. Our Risk Assessment Counselors will help you locate the closest and most convenient Patient Service Center - and will answer any additional questions you may have regarding the visit.